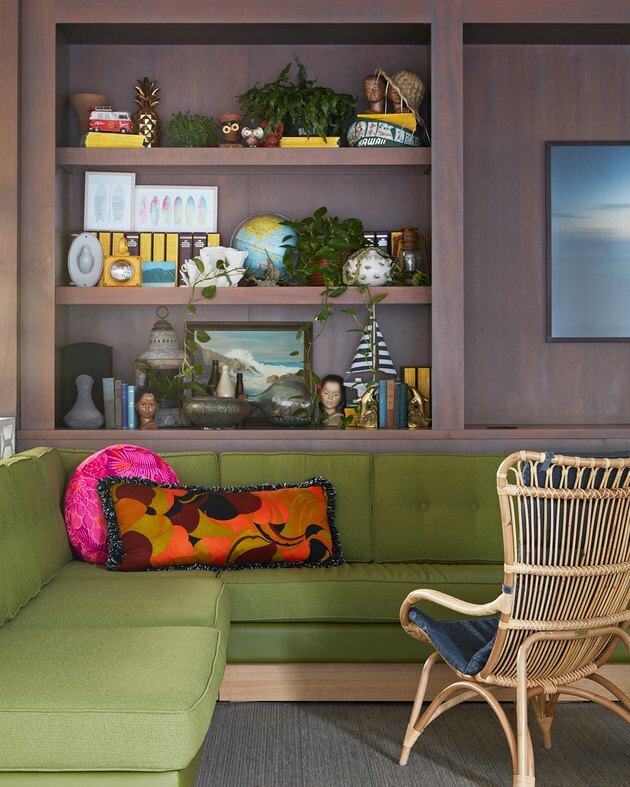 The bright colors and bold graphics of vintage Hawaiian design are perhaps as recognizable as Waikiki Beach itself, but it's not easy to keep this throwback aesthetic cool rather than kitsch. 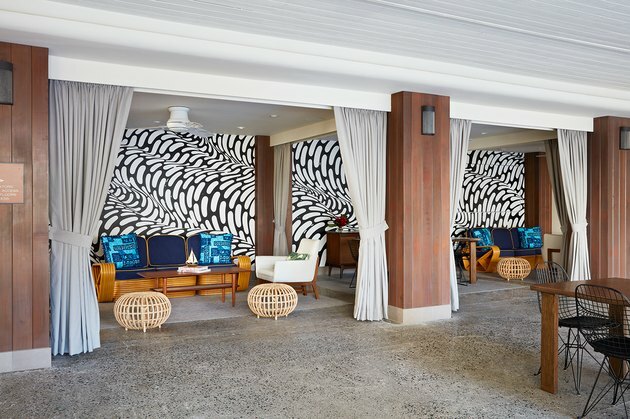 Thankfully, when the Surfjack Hotel & Swim Club decided to open inside a 1960s-era building just blocks from the Big Island's most famous shore, the Vanguard Theory helped to create a palette that tapped midcentury style for modern tastes. 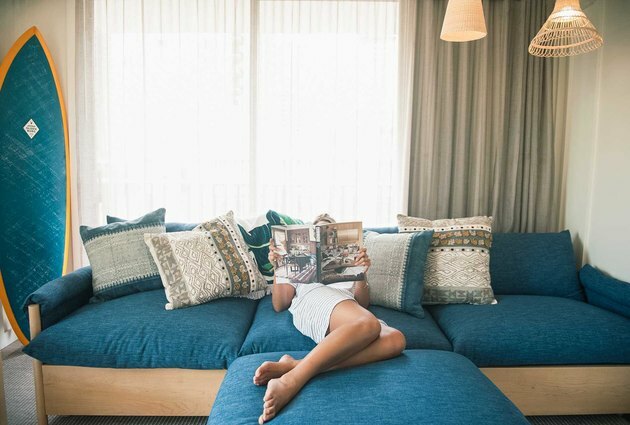 For instance, "concrete interiors were refreshed with local, reclaimed wood, and feature work by some of Hawaii's most notable artisans," Casea Collins-Wright, the getaway's hospitality director, said. Those artisans and their creations, like custom wallpaper by Andrew Mau and Nico Made, or hand-painted typography by Matt Tapia and Jeff Gress, give the hotel a personalized touch that makes each space feel of-the-moment, while photos of classic Hawaiian landscapes and restored fabrics harken back to a golden era. It's a confident mix of old and new, and the result is a look that respects storied history and the trends of the present. 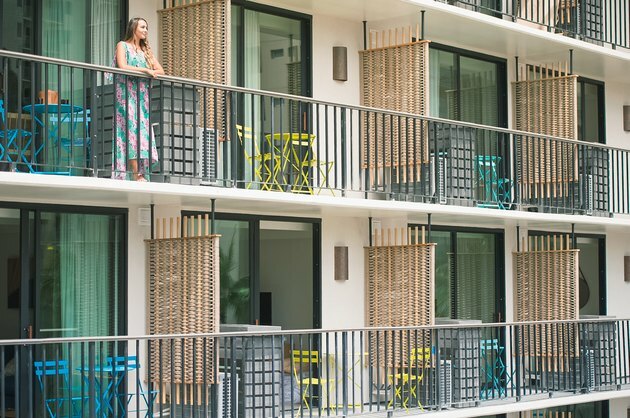 Breathing new life into the retro-motel look, each balcony is divided by a bamboo screen to let light in while providing privacy. Bistro table sets in teal, turquoise, and yellow add a cheerful finish. Pillow covers restored by Tori Richard give a bold pop of blue color to an equally compelling black-and-white backdrop. And while that mural may seem especially modern, bamboo furnishings, old Hawaiian records, and a wooden fruit crate give the cabana-like spaces a traditional finish. Nooks and crannies are vignettes of 1950s and 1960s Hawaii, which include everything from a VW bus model, straw hats, hula-girl busts, and tropical plants. Pops of canary yellow draw the eye up from the avocado-green sectional. Studio Collective worked on making the guest rooms feel like bungalows, using a palette of pretty blues and creamy whites — which also match a surfboard. 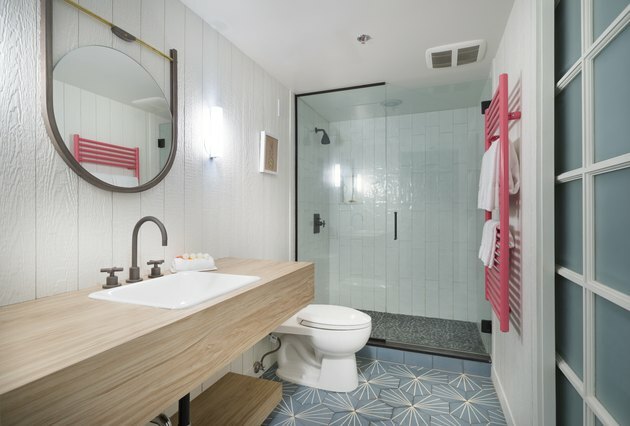 The bathroom's design is all modern, thanks to trendy blue-and-white floor tiles and a light wood vanity. A pink towel rack adds unexpected color to the space.